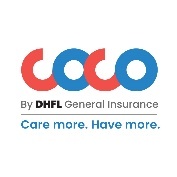 New Delhi, November 5, 2018: Celebrating India’s diverse population and its needs, COCO by DHFL General Insurance has announced the launch of a truly customizable online comprehensive car insurance policy – COCODrive. The first fully à la carte product – COCODrive - offers customers a slew of 19 add-ons to choose from to suit their specific needs. With add-ons ranging from the ever popular ‘Zero Dep Cover’ and ‘New Car for Old Car’ to ‘Key & Lock Replacement’ and NCB Secure, customers can now choose add-ons that are relevant for their individual motoring needs. COCODrive offers many non-standard add-ons such as enhanced owner, occupant and paid driver personal accident cover, making COCODrive the only product in the market to offer an enhanced personal accident cover that can go up to Rs. 35 lakhs. Customers can also choose from a variety of add-ons including ‘EMI Protector’ and ‘Outstanding Loan Protector’ for cars on loan, which will help in vehicle financing in case of any accidents during the loan period. In addition to providing coverage across India, the geographical extension of coverage for COCODrive includes neighbouring countries such as Nepal, Bhutan, Pakistan, Bangladesh, Sri Lanka and Maldives. Through the use of AI (Artificial Intelligence) and Machine Learning during the online purchase process of COCODrive, hyper-localized and customized suggestions to visitors will help them choose the right add-ons suitable for them. For example, visitors from Mumbai will be shown the Engine Protector add-on, as compared to a visitor from Jaipur, since Mumbai is more prone to flooding and thus face ingress of water in the engine. DHFL General Insurance Ltd. is a general insurance venture promoted by Wadhawan Global Capital Private Limited. 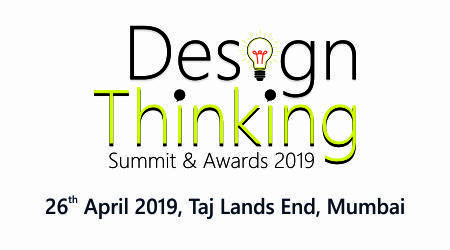 Wadhawan Global Capital Private Limited (WGC) is a Core Investment Company, with its flagship brand being the listed housing finance entity, “Dewan Housing Finance Limited” (DHFL). DHFL General Insurance Ltd. is a 100% owned entity of WGC. Wadhawan Global Capital Limited (WGC) is a leading financial services group. WGC manages over US$ 22 billion of assets through its lending, investment and protection platforms. WGC has partnered with leading financial institutions such as International Finance Corporation (IFC), Washington, Prudential Financial Inc., United States. WGC is the promoter entity of Dewan Housing Finance Corporation Limited (DHFL) and parent company to some of the most prominent brands in India. Its flagship company, DHFL is a market leader with over three decades of experience in financing affordable housing. Other Notable brands owned by WGC are Aadhar Housing Finance, Avanse Financial Services, DHFL General Insurance, WGC Wealth, Arthveda Fund managers, DHFL Pramerica life Insurance and DHFL Pramerica Asset Managers. The company also has a London-based wholly-owned subsidiary Wadhawan Global Capital (UK) Ltd.